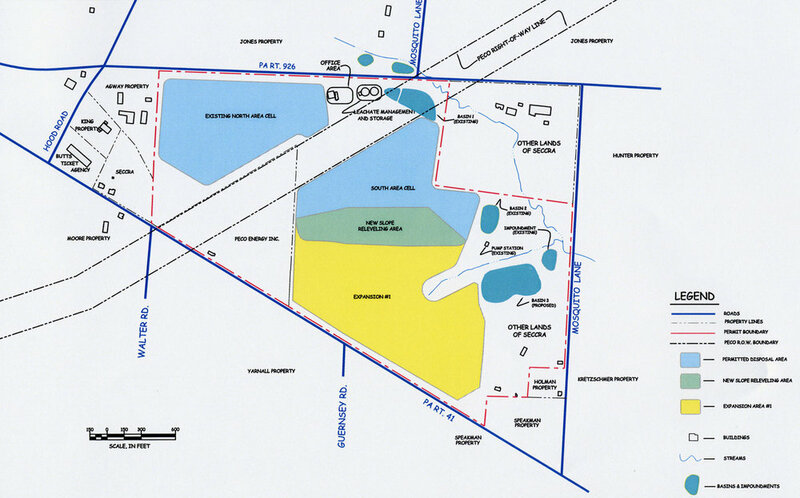 Throughout SECCRA's London Grove Township operations, adjacent properties have been purchased as they became available to provide buffer zone and future disposal space. The four illustrations below illustrate what SECCRA is planning to meet the future needs of the community. Keep in mind this plan is conceptual, and may include parcels of land that SECCRA does not currently possess. Current permitted area. Will exhaust capacity in 2012.